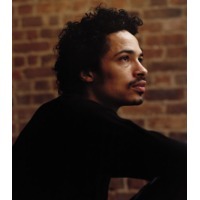 Eagle-Eye Cherry (born Eagle-Eye Lanoo Cherry; May 7, 1968) is a Swedish musician of African descent. Cherry was born in Stockholm, Sweden, the son of African American jazz artist, Don Cherry, and Swedish painter/textile artist, Monica "Moki" Cherry née Karlsson. He is half brother of singer Neneh Cherry, his mother's daughter, and stepbrother to singer Titiyo. He was christened Eagle-Eye because the first time he looked at his father, he did so with only one eye open. As children, Eagle-Eye and his older sister Neneh spent months on the road with their father. At the age of 12, Cherry was sent to school in New York, where he stayed on to work as an actor, and a drummer in various bands. In 1988, he was credited as "teenager" in the film Arthur 2: On the Rocks. In 1993 he starred on the short lived NBC action/adventure television show South Beach.